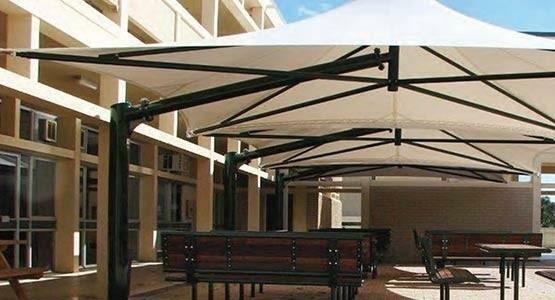 St. Peter’s College is an Anglican boys School situated in Adelaide, South Australia. The award winning school prides itself on both academic achievements and it’s great student facilities alike. 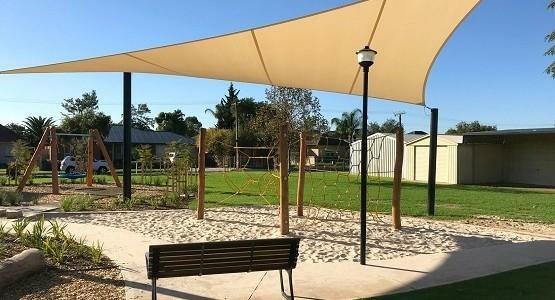 The new Palm House has a large internal courtyard area which is ideal for use as an outdoor teaching, recreation or recess area. 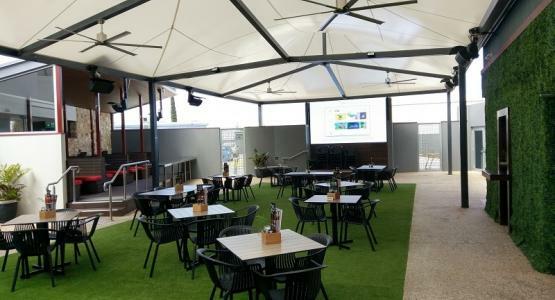 This valuable outdoor space was under utilised during the summer months with high solar UV and excessive heating rendering the area unusable to the students. 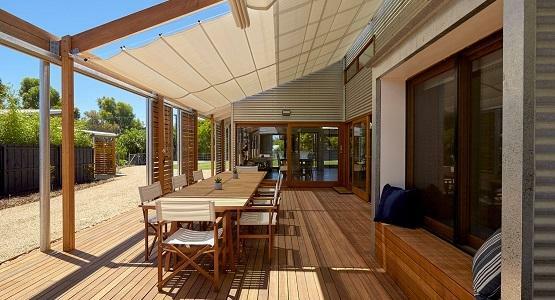 The solution was to install this stunning and functional multiple Shade Sail Structure! 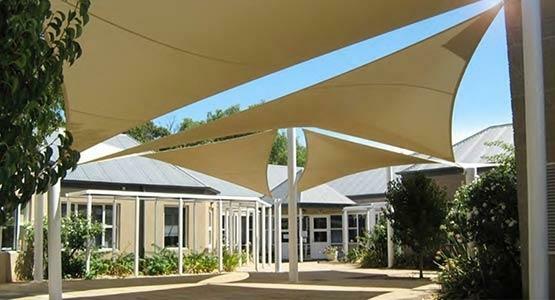 Shadeform were engaged to design, manufacture and install this eye-catching shade structure to provide much needed respite from the heat and solar UV in this useful courtyard area. 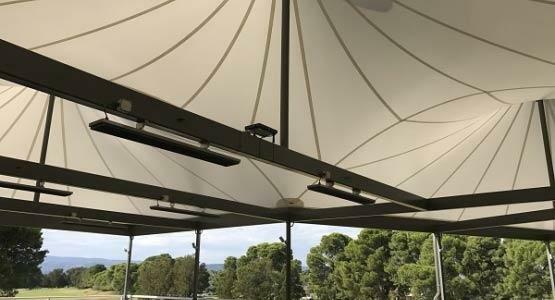 Shade Sails are the most versatile and adaptable shading solution for most applications - irregular areas and large spans can be easily accommodated as each sail is custom made to suit the support structure. 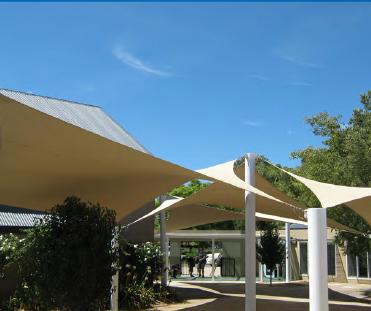 The twisted hypar form of each tensile sail creates a visually appealing structure, particularly when repeated to create a multiple shade feature such as this. Shadeform initially produced a series of sketch proposals for consideration by the School. A concept was selected and developed through to a working model using the latest 2D and 3D software design packages in consultation with the School. 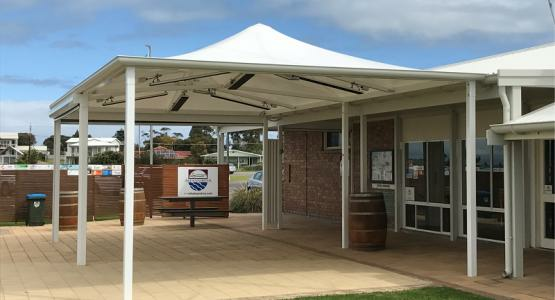 The structure was then Engineer Designed by Magryn & Associates, a local consultant who specialises in tensile membrane structures, and then independently certified. 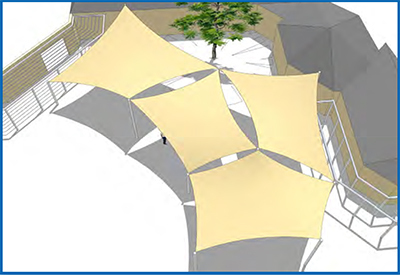 Shadeform then submitted the design to Council on behalf of St. Peter’s School and obtained full approval for the project. 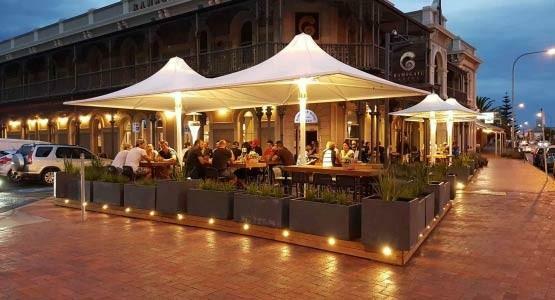 The sail posts were manufactured from Australian grade circular hollow section steel prior to being two pack painted white. Due to the tight access into the courtyard, Shadeform had to used a specialist crawler crane during the installation of posts. The crawler crane can carry posts through narrow spaces, upright them in the required location and place into footing holes. 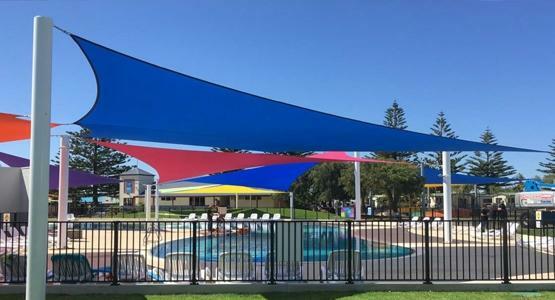 The Shade Sails themselves are manufactured from ‘Outlook’ Polyester Mesh fabric, a durable premium grade woven mesh fabric with excellent tear strength and warranties. Using specialist patterning software, the fabric panels are cut so the sail has 3D shape creating a fully tensile form. 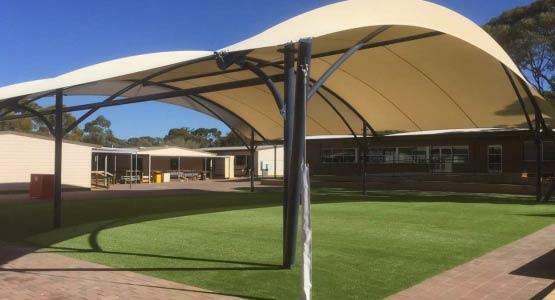 The result is a fully custom multiple Shade Sail structure which provides aesthetically appealing and functional protection for students and staff alike!